Saint Parfum, our popular line of made to order Home Ambiance Diffusers & Candles is offering a special Spring Promotion. Purchase any Home Ambiance Diffuser or 65 Hour Candle and you will receive one extra matching piece -- at no additional charge. A traditional perfumer, Saint Parfum has revived the art of hand blending each essential oil, fragrance note or absolute note by hand. With over 100 blends to choose from, there are offerings for every fragrance aficionado. 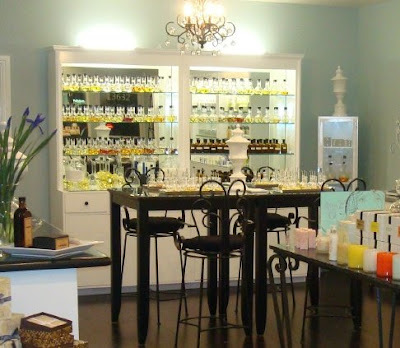 A perfect gift, we supply samples of all 100 fragrances at Melange Apothecary. 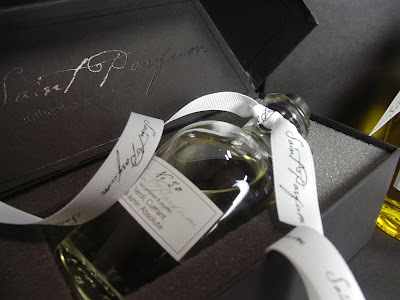 If you select a fragrance we do not carry in stock, Saint Parfum will make your product to order and ship it to the recipient in their beautiful box with customized gift tag... at no additional cost to you. The ultimate statement in a personalized gift. *except Rare & Essential Blends. Those are market price. Stop by Melange Apothecary during normal business hours with Mom (or the other special lady in your life) and enjoy Mimosa's & Appetizers while you create a custom fragrance of your very own. We will blend your Mother's Day fragrance into the product of your choice -- parfum roller ($18 or $40), eau de parfum ($42), body cream ($22) , lotion ($20), body wash($18), ambiance diffuser ($30), spa salts ($18) or sugar scrub($23) while you wait. Our most popular gift duo - a 250 ml Body Creme and 1/3 ounce parfum roller is$40, made to order in our signature gift box. Mom not with you? Consider the Gift of Custom Blending with a Gift Certificate. We can gift-box unscented body creme and a parfum roller with the Gift Certificate for a nice touch so your special lady can stop by any time and explore the fragrance bar and all it has to offer. - Lilac. The flower of May, very true to the bloom. Try blended with Muget (Lily of the Valley) or White Tea with Waterlily. - Honeysuckle. Perfectly fragrant and sweet. Blends with Tuberose, Verveine or Green Tea. We also have a variety of wonderful bath, home fragrance & body care products from companies around the world for the perfect gift. All with our complimentary Gift Box service. We also have pre-made baskets with some of our most Mom-worthy must haves for Spring.